I "accidently" bought this on eBay. Serious! It was a no-reserve auction by a reputable seller of a nearly new 2009 Colnago Master in Molteni colors. The seller apparently got a size too small and was in the process of selling his current one to get a larger replacement. Anyhow, I put in a very low bid (hundreds less than what a similar one went for) thinking WTH, see if I get lucky, never believing I *would* get lucky. I had wanted a copy of the legendary Colnago Master X Light since I saw them back when I was racing. They're very pretty bikes, and their Gilco-designed fluted tubing (made by Columbus) is unique. I liked the Mapei color scheme best, and the Rabobank was a close second. Then I got my Ciocc and didn't look at Colnagos anymore. The Ciocc looked fancy, handled very well, but has the shortcoming (no pun intended) of having chainstays that are so short that anything larger than a 700x21c will rub the seat tube, even with its fairly aggressive seat tube angle. When I was racing and weighed almost 20 lb less than what I currently (Nov '09) do, 700x21c for a rear tire was acceptable. However, now that I'm old and fat, 700x25 is my practical rear tire lower width limit; for rougher roads, I even like the 700x33.3 Jack Browns (by Rivendell). So, the Ciocc fell out of favor and only gets taken out once every blue moon. I wanted a more practical fancy Italian bike (an oxymoron for sure! ), and that's when it all started. 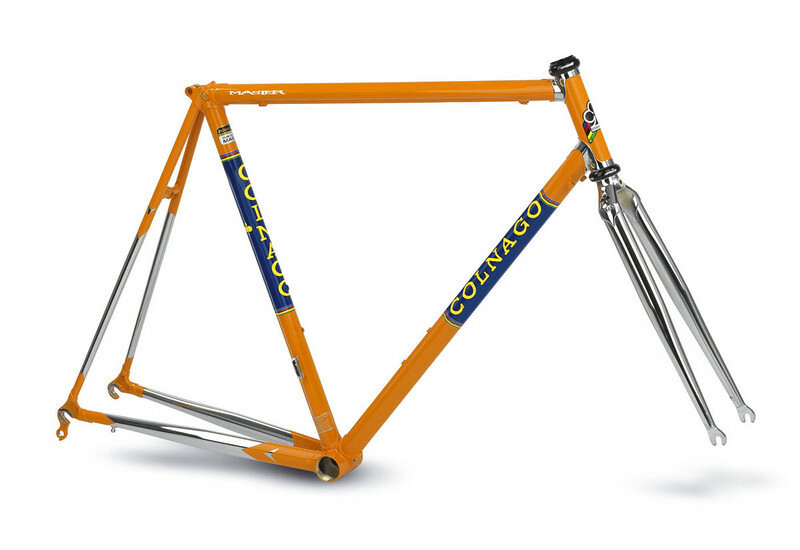 Stock photo from Colnago. Once I actually receive mine, I'll take some pictures and post them.